Boeing has revised upwards its market forecast for aircraft deliveries over the next 20 years amid growing passenger demand and a looming retirement wave of older aircraft. 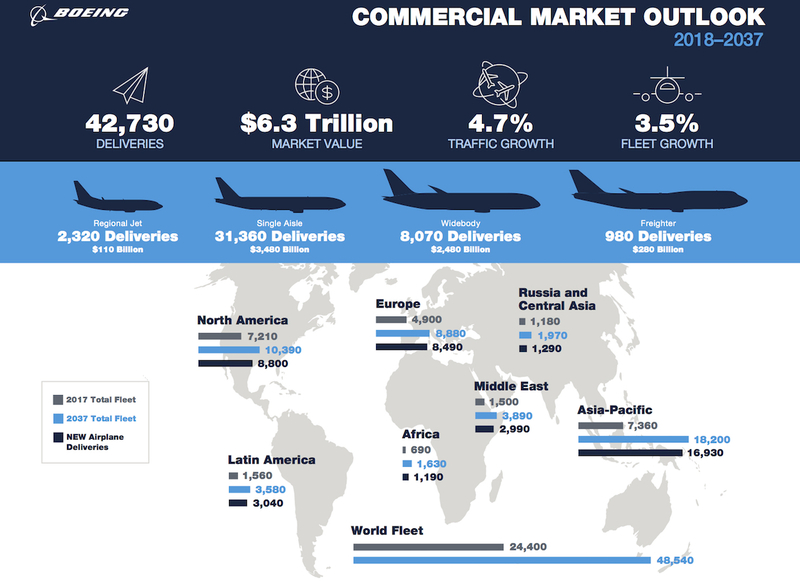 The Boeing Commercial Market Outlook (CMO) for 2018-2037 said 42,730 aircraft would be delivered over the next two decades, with 56 per cent (24,140) to be used for growth and the remainder as replacement of older airframes. The forecast represented US$6.3 trillion worth of aircraft at list prices. 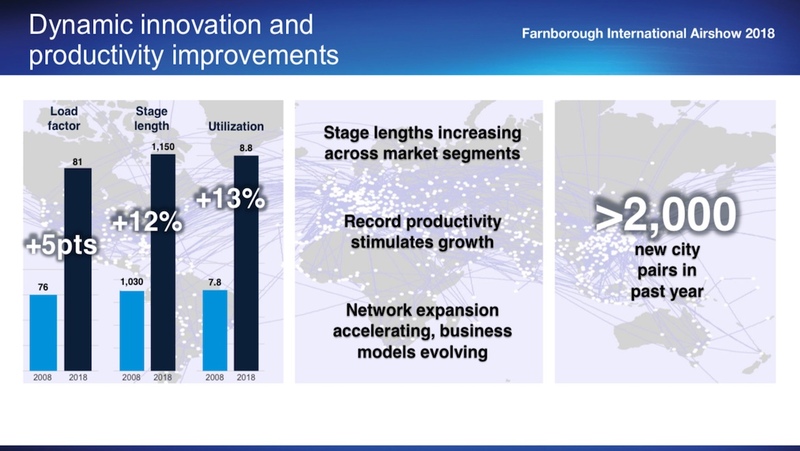 The outlook was presented at the Farnborough Airshow on Tuesday (United Kingdom time). It is an increase of 4.1 per cent from 41,030 new aircraft deliveries predicted in the 2017-2036 CMO, then known as the Current Market Outlook, published a year ago. Boeing vice president of commercial marketing Randy Tinseth said passenger traffic was expected to grow at an average of 4.7 per cent a year for the next 20 years. “For the first time in years, we are seeing economies growing in every region of the world,” Tinseth said in a statement. There improved outlook for commercial aircraft orders was underpinned by was an upward revision for the single-aisle segment, with 31,360 new aircraft expected to be delivered over the next 20 years, up 6.2 per cent from 29,530 in the 2017-2036 CMO. The expected number of new freighters to be ordered was raised to 980 aircraft, compared with 920 the prior year. Boeing also forecast operators would buy 1,670 converted freighters over the next two decades. 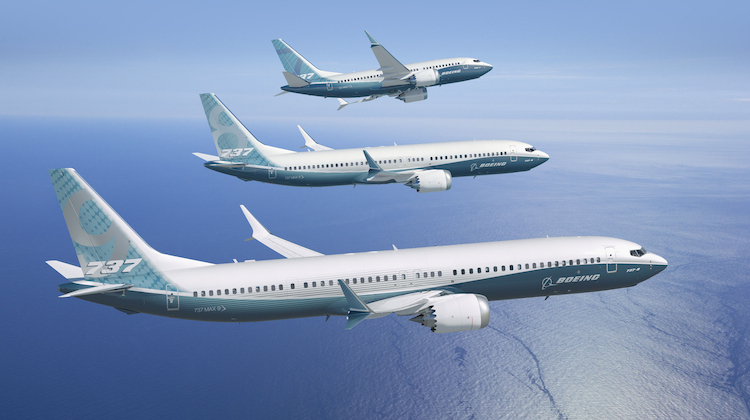 By contrast, Boeing lowered its outlook for regional jets from 2,370 to 2,320 aircraft, while its estimates for widebodies was 8,070, compared with 8,210 in the 2017-2036 CMO. The global aviation fleet was expected to grow to 48,540 aircraft by 2037, with just 5,810 of the 24,400 aircraft currently in service to still be flying in 20 years time. Single aisle aircraft was expected to comprise 69 per cent of the global fleet 20 years from now, with widebodies at 19 per cent and freighters at seven per cent. Regional jets’ share of the total fleet was expected to halve to five per cent. Figures from Boeing showed there were currently more than 900 aircraft more than 25 years old. And by the mid-2020s there would be more than 500 aircraft a year that will reach 25 years of age, which is double the current rate. That would fuel the retirement wave. “Along with continued traffic expansion, the data show a big retirement wave approaching as older airplanes age out of the global fleet,” Tinseth said. 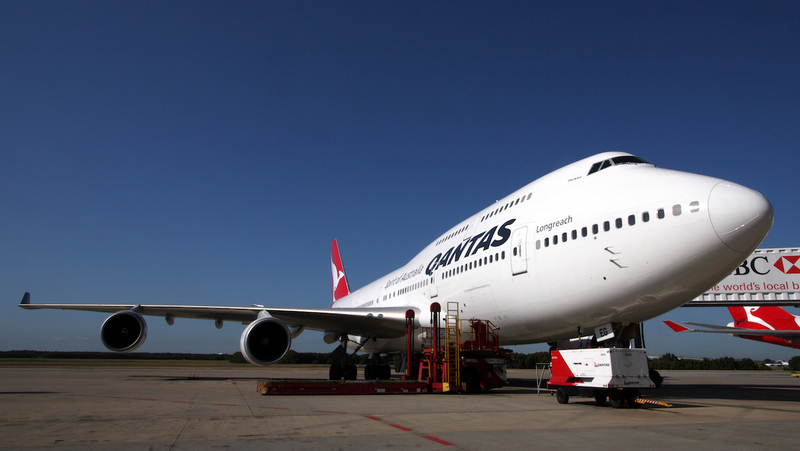 Airlines in Asia Pacific represented about 40 per cent of expected new deliveries over the coming 20 years, with 16,930 new aircraft tipped to enter service in that period. The forecast for Asia Pacific was up from 16,050 new deliveries in the 2017-2036 CMO. The region is expected to be the biggest travel market in the world and tipped to represent about 40 per cent of global passenger traffic by 2036, the CMO said. VIDEO: A summary of Boeing’s Commercial Market Outlook (CMO) from Boeing’s YouTube channel.